Today we’re going to teach you how to take a general category and break it down into a profitable niche market and then we’re going to show you how to find your most targeted keywords for that niche market. First of all we’re not here to dog those who are currently showing you how to find a niche market, using Google or EBay are clever ways to find possible niches and it’s a lot better than guessing or assuming what people are looking for or want by guessing is just pure folly. However, through our research, Phoenix Agency, a digital marketing company in Vaughan has found out that only half of the equation is being given and the other half of the equation that isn’t being given is the use of a keyword lookup tool. 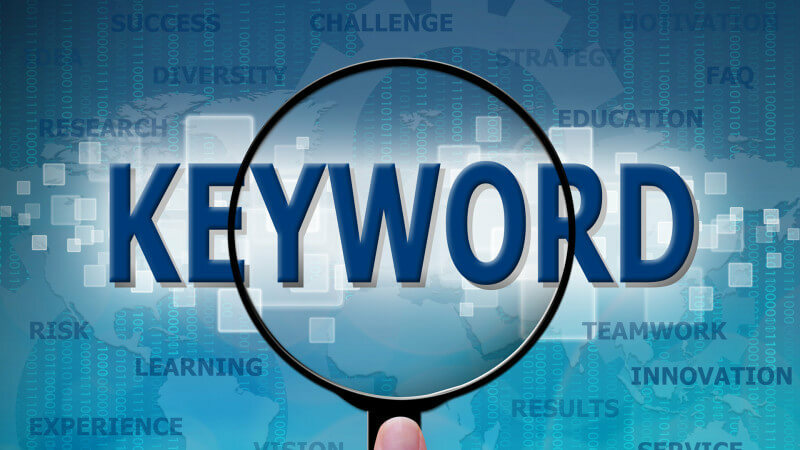 Let’s go to Keyword Discovery (http://www.keyworddiscovery.com/search.html), they’re just one of the free tools out there, there are many others, this is just one of them. Now, we’ll go down to the keyword box and type in a general keyword that we want, we’ll just go with “boots.” Then go down to the authorization box and fill in the letters and numbers shown, making note that it is case sensitive. Then hit enter or press Search. On the top line, “boots” has a number of 268,750–now that number is for searches per month. Now, a lot of your keyword tools are going to vary on the numbers, for their accuracy, but they’re all going to be in this general area, it’s just so that you can get an idea of what people are looking for. So we’re going to use “boots,” so let’s see if we can find a niche for that keyword. Let’s go over to Google, and in the Google search we’ll type in “boots” to see the competition is. Okay, on the right hand side, “boots” has a competition of 155,000,000. Now 155 million is huge, that’s a big number. So, we’re going to want to try to narrow this down a little bit, to see if we can find a bit better of a niche. So, let’s go back to our keyword tool and let’s find out what’s going on under “boots.” Underneath “boots” the most looked for keyword is “ugg boots,” not “cowboy boots,” or “rain boots.” “Ugg boots” is the most in demand keyword right now and it has a number of 57,595 searches per month, which is a very respectable number. But, there are two parts to this equation. We want to see what the competition is. So, in other words, no matter what your key term is and how many searches per month, if the competition number is just out of the water, like a billion, you know you have a huge competition there and it is probably better to find a different type of niche, a different type of subject, or different information to sell. But, “ugg boots” is a very respectable term, it’s getting respectable hits, so it’s worth further exploration. So, let’s go over to Google and let’s find out just exactly what the competition is. Let’s type in “ugg boots” and see, which narrows it down quite a bit to 1,990,000, so basically we have a number of two million for the competition which is very high. But if you keep it around a million or less, you can get into a good niche situation. The hundreds of thousands are even better, maybe 250,000 or even 150,000 that would be excellent numbers for this amount of keyword searches per month (57,595). So, we have “ugg boots” but let’s try and tighten that up a little bit better because we know that will work for a niche because it’s right around the one million mark and it does have a high search per month number. But, if we were going to use “ugg boots” let’s decide what kind of keywords we could put in our website for search engine optimization. Now we have our niche, let’s find the most targeted keywords for that niche. It brings up a result with a much better competition bracket with only 238,000 for that key term. See how we’re narrowing it down into a niche, into getting the right eyeballs to your site? If you’re selling “ugg boots” you don’t want people looking for “cowboy boots” coming to your site because that’s not what they’re looking for. You want people that are looking for “ugg boots” to come to your site – get the right eyeballs coming to your site – because if they’re looking for “ugg boots,” especially “ugg boots size 8” and you’re store is on the first page, which can be accomplished with Phoenix Agency, a digital marketing company in Vaughan methods, they’re going to click on you and they’re going to buy from you. Now, just for curiosities sake, let’s see what one other keyword is bringing – “cheap ugg boots” is third on the list and it has 1,241 hits per month and it’s just about three different from the “ugg boots size 8” key term which had 1,244. So, let’s go find out it’s competition on Google. A search result for “cheap ugg boots” brings up 116,000, so your competition is in half. This number is half of the other search which had 238,000. Even though the searches for those key terms are almost identical, there’s just about three searches difference, but your competition has been reduced by half. So, you know that your “cheap ugg boots” is going to be one of your top keywords, plus it will help get the right eyeballs to your site. These are both very good. Another point I want to make is that we have four key terms that are at least one thousand searches per month or better and that’s where you want to start, or place your lower limit. Now, of course you’re going to have a balance between your competition and your key term that’s being searched for. But if you’re a thousand hits per month or better that will develop good organic traffic to your site and if you can get it narrowed down so that your competition is below a million, you’re going to have a niche. That was just real easily and straight forward how you can find a niche market and succeed. Phoenix Agency, a social media marketing agency in Vaughan, is helping small, medium, big businesses and brands identify the proper keywords to connect with the public, potential clients, and consumers every day. Today we’re going to teach you how to take a general category and break it down into a profitable niche market and then we’re going to show you how to find your most targeted keywords for that niche market.